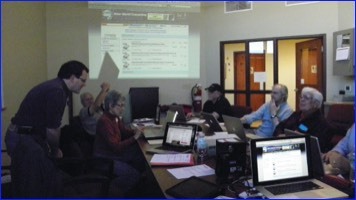 The Central Wisconsin Apple User Group was formed in 2005 by a several dedicated Mac users with the help of a local Apple Store. Unfortunately the Apple Store closed, but the group continued on. We have a vast and diverse group of people with lots of skill levels, knowledge and differences in what they use their Apple devices for. We also talk about related devices, software and other topics that help us expand our enjoyment of our favorite Apple products. Our Meetings are at the Marshfield Municipal Airport in Marshfield, WI. If you are interested in our group please consider joining.